Embark on a trip down the Great Ocean Road, one of most picturesque coastal routes to travel from Melbourne to experience the best of Victoria’s pristine natural beauty, cuisine and art, all within an hour’s reach of the city centre. 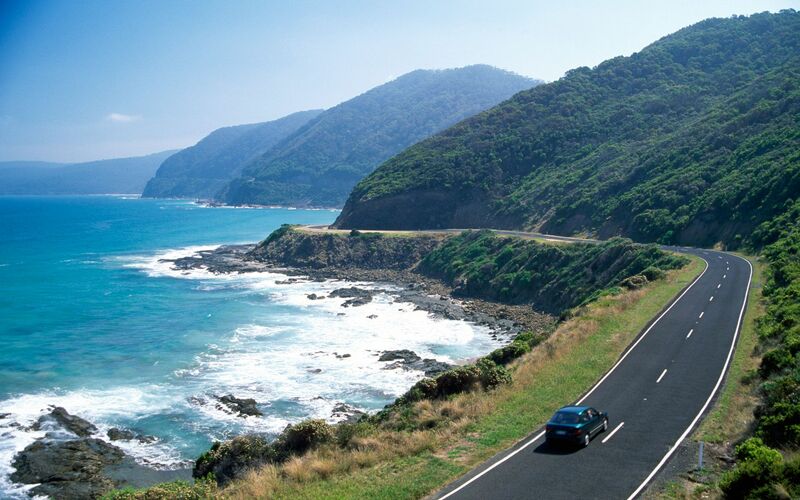 Touted as one of the world’s scenic coastal drives, The Great Ocean Road is a fascinating 250km-stretch that's sure to appeal to every kind of traveller. It starts approximately 103km from Melbourne’s Central Business District in the coastal town of Torquay, offering a slew of pristine fine dining spots, breweries and seaside cafés fit for any epicurean escapade. There are plenty of other reasons to stop and take in the scenery, including a visit to beautiful beachside towns for coffee stops, surf lessons, art galleries and iconic landmarks like the 12 Apostles rock formations and dreamy lighthouses aplenty. Travel tip: Did you know that AirAsia flies 14 times a week from Kuala Lumpur to Avalon Airport, Melbourne? Grab a special fare of RM339 when you book your AirAsia flight tickets to Melbourne from now till November 18, 2018 for the travel period between May 6, 2019 and February 4, 2020. Don’t forget: AirAsia passengers can apply for an e-Visa (Electronic Travel Authorisation or ETA) for only AUD$15, so book your tickets and apply early to avoid disappointment. About an hour’s drive from Melbourne along The Great Ocean Road, a day trip to Geelong will have you marvelling at the city’s sun-kisssed waterfront precinct and its whimsical artwork before sampling craft beers and local wines from the Geelong wine region. Geelong’s easy proximity to Avalon Airport makes it a popular choice among travellers, and the smooth, uncongested drive from Melbourne’s city centre is another welcome feature. Travel tip: AirAsia passengers get access to exclusive perks on the Avalon City Express Skybus, these include free travel from December 5-12, 2018, and special fares of AUD$19.50 (one way) and AUD$37 (round-trip) from December 13, 2018 to February 2, 2019. Stop for a picnic at the Brisbane Ranges National Park along the way or enjoy a hot cup of coffee at the 19th century-built heritage building known as the Mansion at Werribee Park. Proof of the city’s shared love affair with art, Geelong’s waterfront is peppered with cleverly-placed installations and sculptures that reflect the quirky personality of their surroundings. Feast your eyes on the colourful Baywalk Bollards or the 'Cargo Boxes' display by artists Maggie Fookes and Bill Perrin. Take your artistic adventures a step further by paying a visit to Geelong Gallery, one of Australia’s oldest regional galleries. The street art scene has not gone unnoticed, as shown at the Powerhouse Museum: a beautiful space to see artwork by Australia’s top street artists. The Bellarine is situated about 30 minutes from Geelong, famous for its verdant vineyards, peaceful coastal villages and stunning bay views. Go on what’s known as the Bellarine Taste Trail and discover why this coastal getaway is a veritable foodie’s paradise. Savour as many farm-to-table treats as you can, from gourmet cheese and fresh berries to fresh seafood cooked at an artisan smokehouse like The Bellarine Smoked Fish Co.
No-hassle on travel: Click here to learn about AirAsia Premium Red Lounge Access, complimentary inflight meals and other exclusive Premium Flex benefits. Make it a point to visit the Bellarine Community Farmers Market to show your support for local growers and small food businesses. On the first and third Sundays of each month, head over to the South Geelong Farmers Market for an authentic experience of Geelong’s gourmet and artisan food culture. Again, the Bellarine Peninsula is famed for its eclectic restaurants, cafés and wineries. Explore one-of-a-kind experiences with degustation dining at The Q Train on the historic Bellarine Railway, or take in idyllic views while you eat at upbeat eateries like Merne At Lighthouse in Drysdale or 360Q at the Queenscliff marina. There are golf courses, hot springs, and more exotic wineries to be enjoyed at the Mornington Peninsula, a breezy beachside spot about an hour’s drive from Melbourne. Mornington Peninsula is home Victoria’s first natural thermal mineral springs and day spa, Peninsula Hot Springs, a perfect place to relax and unwind from the long drive. If you’re not one to tire from exploring vineyards, Mornington Peninsula has around 170 of them, many of which offer top-notch fine dining experiences culminated from the best local ingredients. The Yarra Valley is a sanctuary for nature-lovers, renowned for its leafy walking trails and equally verdant winding roads traversing vineyards, villages and national parks and art museums. While you’re here, trade the road trip for a different mode of transportation altogether (at least temporarily) and take an early morning hot air balloon flight to enjoy panoramic views of the valley and surrounding forests before sitting down to a hearty breakfast in one of the nearby wineries.